The internet is, by far, the leading channel for reaching audiences today with a global penetration rate of 57%. That’s 4.38 billion people. In essence, you can reach slightly more than half the worlds population through the internet. However, not each and every one of these people is likely to be your customer. So, you have to target the people most likely to purchase from you and then understand how to make your content available to them. Figure 1: Global Digital ReachA keyword planner allows you to do keyword research so that you can understand what people are looking for. 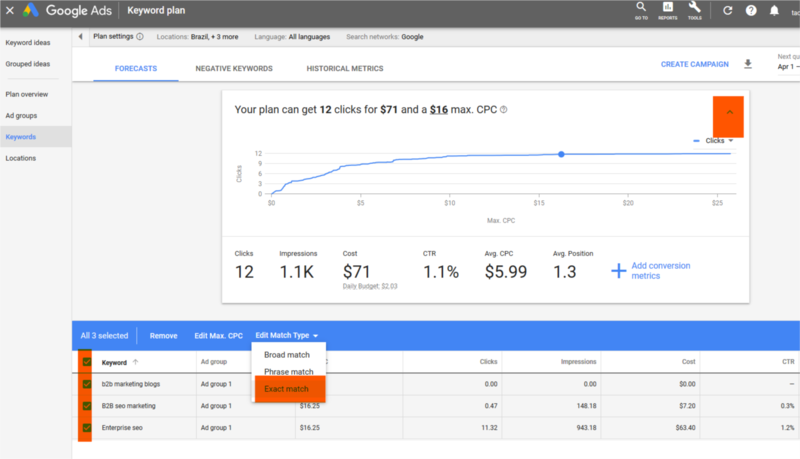 Google Keyword Planner (KWP), is a great tool that you can use for keyword research. Its distinct advantages are that it is powered by the world’s greatest search engine Google and probably the best part for most people, it’s mostly free to use. That said, here are some compelling reasons why you should make KWP your friend. Here are just ten of them. 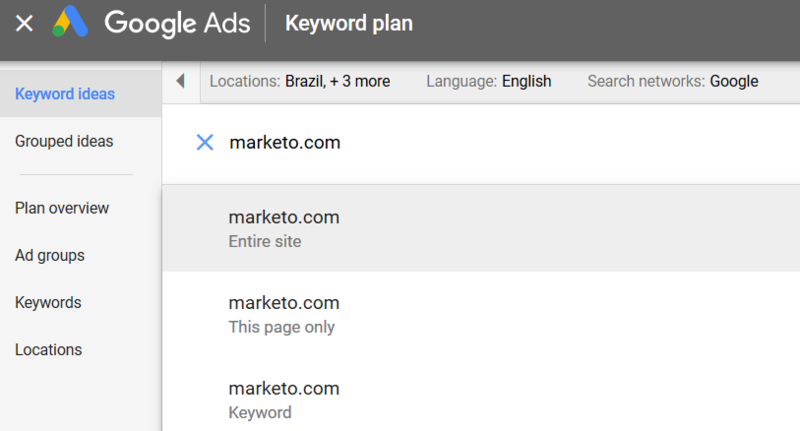 Next, type in some keywords and on the next page, use the drop-down next to ‘Your plan can get ## clicks for $## and a $## max. CPC’ to see the graph as shown below. Then select all the keywords, find ‘Edit Match Type’ and select ‘Exact Match’ as shown below and pay attention to the ‘Impressions’ column to find the number of impressions your keywords would get within 30 days. KWP can be used to generate keyword suggestions from any URL. 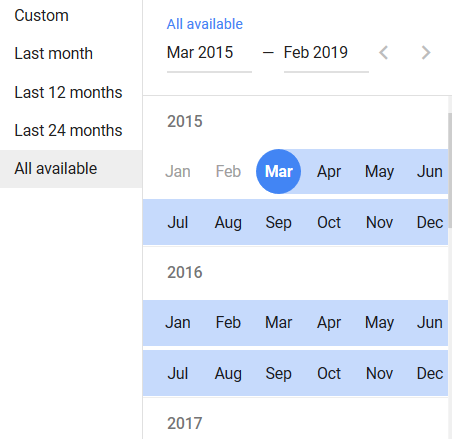 This feature can be repurposed to search for terms that are related to your competitor’s websites and to, therefore, understand the keywords that Google associates with other brands. With KWP you can use Ad groups to find and filter different types of questions that your audience is asking about so that you can come up with content ideas. Although several other tools have this capability, doing it within KWP is undoubtedly more convenient. Use the 5WH (who, what, why, where, when, how) to filter and find the questions that will help you to generate content that can be used for marketing purposes. With KWP you can find keywords that are profitable for your business based on suggested bids. Manually sifting through large amounts of valuable keywords can be laborious, but with KWPs filtering feature, you can find the words that you need within seconds. You can filter the results of your keywords using the ‘Top of page bid (high range)’ column, to find the higher range of what competitors (advertisers) have historically paid for. These results will be based on your Search Network settings and location settings. Audiences that tend to search for certain keywords have an affinity for searching using specific devices including tablets, mobile devices and desktops. Websites need to be optimized for each device based on screen-size to make the user experience as comfortable and as streamlined as possible. For example, if your audience tends to use a smartphone to search for keywords that you may be targeting, then you should definitely have a mobile-optimized website. 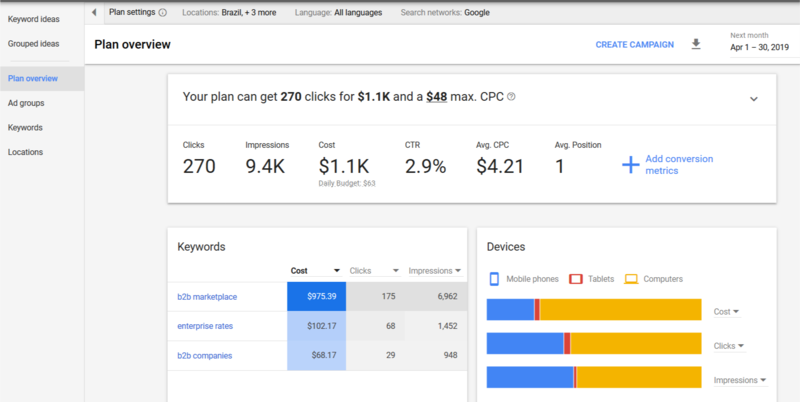 To do this, add a keyword and then go to the Plan overview and look at the devices section. You can further filter the graphs based on Avg. CPC, Clicks, Cost, CTR and Impressions. The KWP can also be used to find location data that will tell you about the reach in a specific region, state, union territory, Nielsen DMA region, county, municipality, city or your targeted locations. The information can then be used to determine where competition will be high or low based on different factors. You can prioritize what to focus on in different seasons of the year depending on what is hot on your product catalogue and what is not. Instead of merely looking at short-term trends (month-to-month), you could also opt to look for long-term trends spanning a few years (usually four years). Such data can help you understand when certain products go in and out of fashion and whether you can ride an upsurge of interest or whether you are too late to profit from a trend. 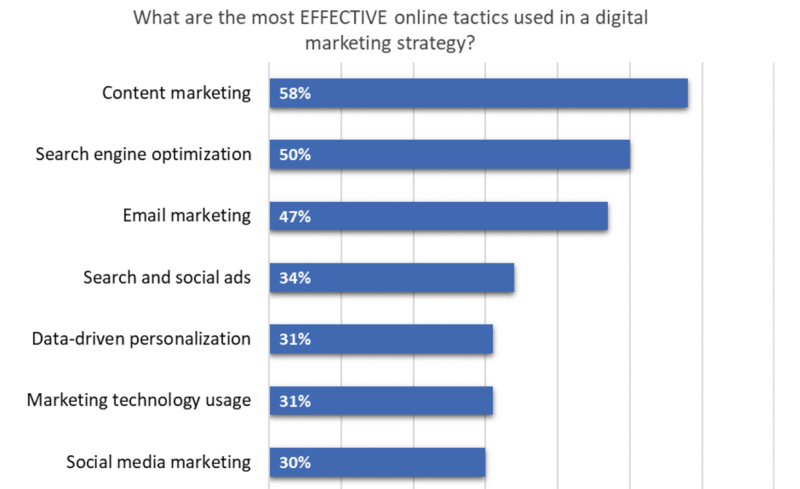 Implementing a comprehensive SEO marketing strategy can be extremely time-consuming. That said, KWP can enhance the search engine visibility for your website by providing useful data about what to include in blog posts, landing pages, and product descriptions. This can be done by first researching keywords you want your site to rank for in Google Search results and then fine-tuning the results using Your search term, idea, Avg. Monthly searches, competition, Competition (indexed value), etc. Finding out the level of competition for particular keywords based on ‘high’, ‘medium’, ‘low’ and bid value, and competition indexed value. Keyword research is not just useful for SEO but also for other digital marketing practices like social media marketing, data-driven personalization, email marketing, content marketing, etc. Keywords also explain where your organic traffic comes from which in turn helps you to understand what your company is recognized for (your brand). By using the right keywords in content marketing, your marketing team can, therefore, shape your brand. Additionally, by shaping a consistent brand image, all other marketing and sales activities become more efficient down the line. KWP can, therefore, be a useful tool that marketers use for building or shaping your brand. It’s not difficult to see why KWP is a favorite tool for content marketing and SEO experts like Mike. It is a powerful tool that you can use to incorporate into your keyword research workflow because it is packed with valuable insights that you can’t get from other keyword research tools. Although it lacks some useful features, it can be used as the foundational tool for keyword research, and utilized with other keyword research tools, such as Ahrefs Keyword Explorer, to get comprehensive data that you can use to enhance visibility for your website.